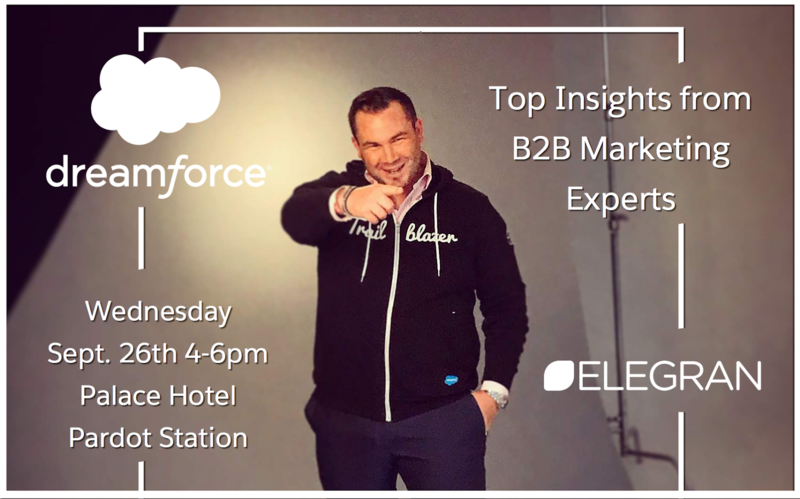 I'm returning to speak at Dreamforce 2018 for the third year running at a session entitled: Pardot Trailblazer Spotlight: Top Insights from B2B Marketing Experts at the Palace Hotel on Sept 26th in San Francisco. 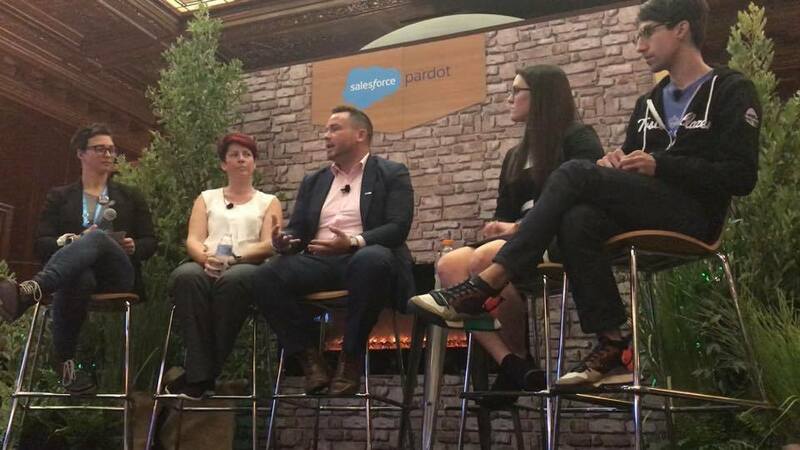 My first session at Dreamforce was about Pardot Engagement Studio back at DF16, and last year I talked about launching Salesforce Lightning at DF17. This year is a panel, so I'm not sure I'm "technically" a speaker, but I'm joined with some of the best Pardot marketing minds in the business, so it's plenty prestigious enough for me. Moderating the panel was Salesforce's Senior Manager Product Marketing Carrie Smith, and joining me on stage was Bailey Wilson and Emilio Reyes Le Blanc to my left, and Rebekah King to my right, who featured on the cover of Salesforce's inaugural issue of Trailblazer Magazine earlier this year. 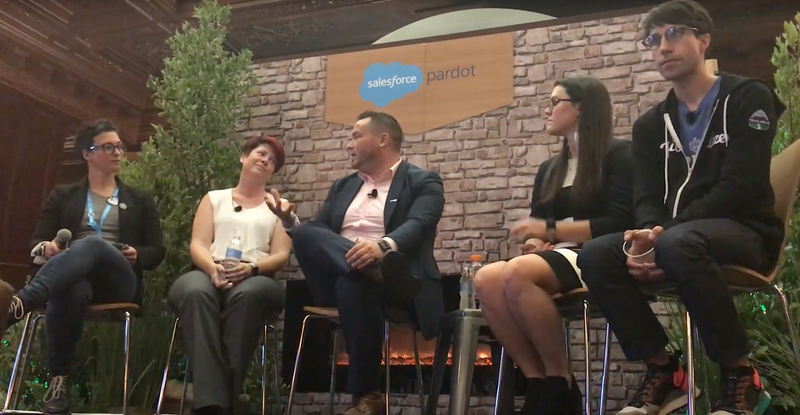 The conversation was fascinating and it's pretty great to see more (and bigger) firms start to use Pardot to such great success. 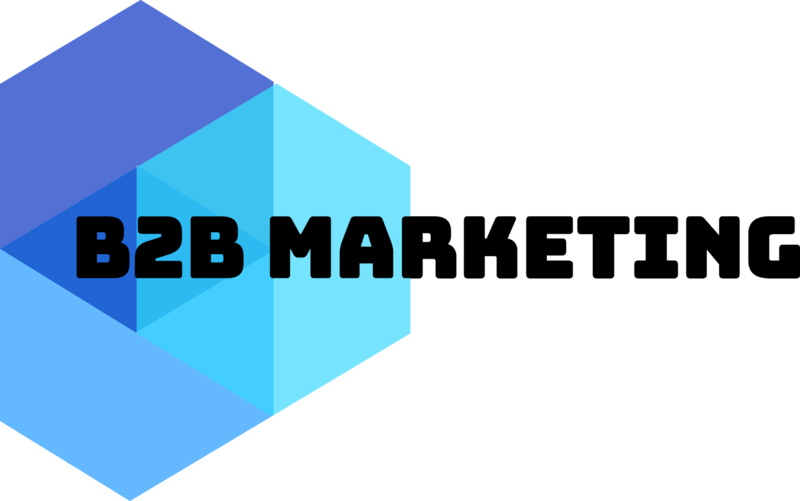 There were a bunch of questions about trends in marketing over the past 12 months, as well as our experiences with Einstein artificial intelligence as well. I was most excited to talk about Pardot Lightning, an app native to the Salesforce I've been using in beta for several months.